As the dark clouds descend in rows accompanied by reverberating thunders, and the lambent flashes of lightning and a vertical sheet of water descend rushing at an incredible speed, as though to meet its mate—the scorched earth—the mother earth swallows the first ambrosial waters of the season with glee. 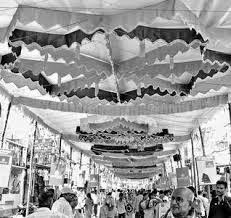 And as the varsha thus turns the “earth a comely courtesan / attired in the green silk of grass / wearing silver ornaments of sprung-up mushroom / ruby of purple colored worm of moist fields”, it is the farmers who become the most gleeful lot. Indeed, with the onset of monsoon rains, villages suddenly become alive, buzzing with farm activity. To borrow Kalidasa’s words, it is not farmers alone, even their wives—“tyayyāyattam krishiphalamiti bhrūvikārānahhaznyha / preetisnigdhyrjana pada vadhūlōchanyha…” (MS 16)—who are “innocent of all coquettish art” look at varsha, with “loving glances, for on thee depends the fragrant furrow’s fruitful outcome”: the net result of ploughing the land, sowing the seed, nurturing the shoots with appropriate manure to grow richly till it ripens and finally harvesting the crop—all that squarely rests with Megha and the rains that it blesses them with. For, no rains means no crop; no crop means no food, no food means no prana, which means no universe since “The whole world, whatever there is / was created from and moves in prana” (Katha Upanishad 6.2). Come rains, every farmer turns towards the gods and sends forth a prayer in his own words: “Oh, Shiva, Mahadeva, may our fields give us a fine crop… may we have a fine harvest”. 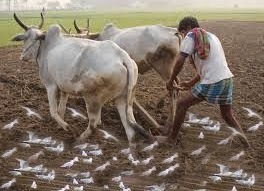 Then turning the pages of panchang, almanac, he fixes up the muhurat, auspicious time, for commencing ploughing of the farm. On the fixed day, he gets up early in the morning, washes himself, drives the bulls out into the courtyard, ties them to the yoke with the plough at the center, adorns the bulls and plough with turmeric, vermillion and flowers as a mark of sraddha and bhakthi, in a kind of reverence for its importance breaks a coconut on the rock placed in front of the cattle … and as the farmer’s wife walks in from outside the yard, the farmer crying out, “hai hai, he, ho” hawks the cattle straight to his field to commence the very first operation of farming—ploughing the land. It is indeed a scene to behold as a long row of cattle pairs of the whole village yoked to ploughs marches towards the fields at dawn as though in competition with the rows of cranes flying over them in the sky. 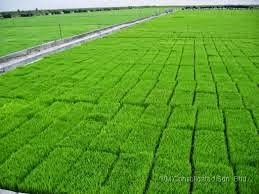 As the farmers start ploughing the just moistened land by the first break of showers, the whole countryside will be suffused with—in the words of Kalidasa—“sērōthkashana surabhi kśhetramārūyahamālam” (MS 16), the fragrance of the furrowed farms. As I think of the tilling of our fields, many pleasant pictures flash in my mind: one evening as our cattle were ploughing the field, suddenly from nowhere droves of birds of different hues landed right behind the plough and particularly it was fascinating to watch them walking behind the plough, taking turns along the plough at the end of the furrow—all in their anxiety to grab their share of grubs/caterpillars, etc. that were just turned up by the ploughshare. A little later, suddenly the sky became dark and sweeping gusts of rain came in aslant from the fields of neighboring village. As the raindrops grazed against faces like arrows, the ploughman rushed out leaving the cattle in the half-ploughed field, to shelter himself under the babul tree on the bund. As the cattle standing in the half-ploughed field “lifting the yoke encumbered head” looked skyward, I, watching them, could at once grasp the meaning of Longfellow’s poem: “In the furrowed land / The toilsome and patient oxen stand; / … / Their large and lustrous eyes / Seem to thank the Lord, / More than man’s spoken word”, perhaps, for granting them the well-deserved relief, fully well—for that matter better than in the classroom. As I was thus marveling about the poem, the rain stopped as quickly as it came, and lo! there appeared the “Triumphal arch that fill’st the sky / When storms prepare to part / … / A midway station given / For happy spirits to alight / Betwixt the earth and heaven” on the horizon over our padamati cheruvu, western-tank of our village. 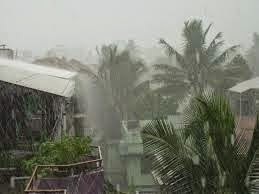 That was and is the beauty of the tolakari—rains of the early monsoon season. My father often used to quote, “A bad early crop is as good as a good late crop” and perhaps, driven by this philosophy, he used to get nursery beds prepared immediately after the first shower to sow paddy seeds right at the very beginning of the tolakari and irrigate the beds by lifting water from the well using Yatham. As the labor lifted the water from the well, it was always a game for us, the children, to guide the water into nursery beds—one after the other. I still remember a beautiful scene which I enjoyed watching on one of those days: “Pube batash alo hatath / Dhanar khete kheliye gelo dheu…”—A gust of the east wind / rippled the rice plants [tender seedlings] and as the waves ran through the nursery one after the other in quick succession like a sliding cobra, the beauty of the silken nursery was something to behold for ever. And indeed, whenever I recall that scene, goose bumps run through me…. In one of such tolakari mornings, we were irrigating our paddy nursery. As the water level in the well had gone down, labor came out to rest on the bund leaving the well to get recharged. Puffing their cheroots, they were engrossed in their chit chatting. Realizing that my father was not around, I slowly walked towards the well. Walking over the two Palmyra-trunks placed across the open well, I picked-up the pole to which the bucket was attached and being tempted to have a try at it, managed to push the bamboo pole down into the well. As I was trying to dip the bucket in the water it shoot-up at once, carrying me too into the air. In that mêlée, I might have given off my hands from the bamboo and lo! I landed straight in the well. Alerted by the thumping sound of the bucket and not seeing me around, labor, perhaps sensing what could have happened, rushed to the well. Seeing me standing in panic at the bottom of the well, our Lazar, came down quickly, and carried me up. And I still remember my pleading with them not to tell about the incident to my father. Whenever I recall this incident, a silent smile runs over as a mere ‘thank you’ to our farmhands, who were loyal to me too. With the release of water into canals, farm activities pick up feverish momentum as irrigating the fields was quite a tough job. For, every farmer tries to irrigate his farm first. To succeed in the competition, farmers go to fields even in night to place obstructions across the irrigation channels and clandestinely divert more water into their fields. 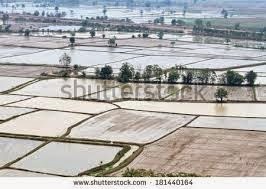 Fields are then brought to a soft puddle—to reduce the loss of water and nutrients through excessive percolation as also to reduce weeds and their future growth—by ploughing twice or thrice under standing water of 5-7 cm. The puddled fields that are now transplantation-ready look awesome: as far as the eye could see, the sheet of water stretches to the horizon broken only by the intermittently protruding neatly trimmed field-bunds. Standing on our field bund as I listen to the low sounds of the lapping water by the bund, a hawk that was drifting on the wind so lonely, suddenly swoops over the water and majestically gets away with her prey. These scenes, these sounds… they are all still fresh in my “deep heart’s core”. Once the fields are ready for transplantation, paddy seedlings are pulled out from the nurseries and women farmhands transplant them in the field. And with it, a farmer heaves a sigh of relief. But that’s only the beginning: everyday thereafter, rain or sun, cold or sultry, he goes around the field silently communing with every sapling that is just striking roots, watching passionately as it strikes fresh tillers, aiding its labor to grow majestically with timely manuring, feels contended as the crop becomes pregnant with spikes and slowly but brightly turns golden yellow and the stalk droops earthwards under the weight of its newly born grains and finally harvests the gift of the nature gratefully. In between, he bravely puts up with all the vagaries of nature. 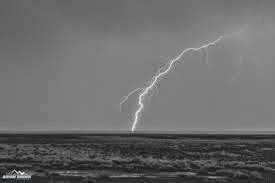 For instance, come Bhādrapada, there would be no more thunders, no lightning and no billowing clouds, but only dreary unceasing rainfall out of a grey sky, leading to overflowing storm water drains, inundated villages, and disrupted life. Yet, farmers, wraping themselves in gunny slacks go to fields and deploy their creative best to drain out water from their fields and ensure that their crop breathes alright. Returning from fields, with their uttareeyams (cloth worn over upper body) wrapped tightly around the shoulders, assemble in the evenings under the eaves of kacheri (village hall) or at the village temple and discuss the prospects of the crop vis-à-vis the downpour in hushed tones, for the fear of rains spoiling the crop runs deep in them. As thousands of frogs from the roadside drains and puddles crackle even during the day, though it is at night that they become much more vocal, every farmer silently praying gods to stop the rain to protect their crop, retires for the night hoping for the better. And, in no other profession have I seen ‘hope’ playing such a dramatic role in keeping the going alive—and letting the ‘romance’ with farming get going. “Rain in Summer” by Henry Wadsworth Longfellow. Ode “To The Rainbow” by Thomas Campbell. Yatham is a simple water-lifting device. It is made of an upright post on which is balanced a long thin but a sturdy pole. At the one end of the pole, a bamboo is tied with a bucket attached to its other end. A heavy counter-balanced weight is attached to the other end of the pole to balance the bucket. Then the bamboo rod is pulled down to lower the bucket into the well. Once the water enters the bucket, it is pulled up and the water is emptied into a channel for diverting it to nursery beds. The system works on the ‘lever’ principle. Rabindranath Tagore (1936), Collected Poems and Plays, Macmillian, London. Bhādrapada—a month in Hindu calendar, corresponding to August-September in Roman calendar.